1. Size - We recommend that containers be at least 12 inches in diameter, so plants do not dry out too quickly. However, when choosing the size of your container, you should also think in terms of scale, meaning larger houses, entrances, and decks need larger containers. Conversely, a small space should not have a container that is too large. If you have large containers, you may choose to install a “false bottom” to reduce the amount of soil needed and to reduce the weight of the container. The Growing Place carries “Ups-a-Daisy” inserts to do just that! 2. Drainage - Your container should have holes in the bottom to release excess water. Too much accumulated water in your container can quickly drown your plants. 3. Beauty - Beauty is in the eye of the beholder. You must like your container! (It also helps if your neighbors and your HOA like your container as well.) Your container should match or complement its surroundings. There are containers in so many types of materials: glazed, wrought iron, terracotta, concrete, wood, tin, composite/faux, plastic. Each type has its own advantages. Glazed containers are beautiful and heavy, which keeps them from tipping over. However, if you have difficulty with heavy lifting, a composite/faux container may be preferable. Some like the rustic look of wrought iron. You may use an object that isn’t really a garden container at all—like a basket (use a liner), a wooden box, a galvanized bucket, or a watering can. Let your imagination be your guide. Use a lightweight, soilless potting mix, not topsoil or soil from your garden. A potting mix like The Growing Place Choice Container Potting Mix or new this year, Bumper Crop both comprised of only natural materials. Options for fertilizing include Bloom and Grow liquid organic fertilizers, and if you like, an extended release fertilizer (be sure to follow directions on the package) to keep your plants healthy all season. The extra watering needed for containers can quickly deplete your soil of nutrients. Light & Conditions - The most important factor to consider is how much sun the container will receive and their water needs. Choose plants that have similar light and watering requirements. You wouldn’t want to plant a sunny, dry loving succulent with a shady, water loving plant like a fern. Texture - Experiment with contrasting textures in your container. Grasses and spikes provide vertical textures. Often the texture of plants comes from the actual texture of the leaves, but texture can be created by choosing plants with stripes, spots, or variegated leaves. 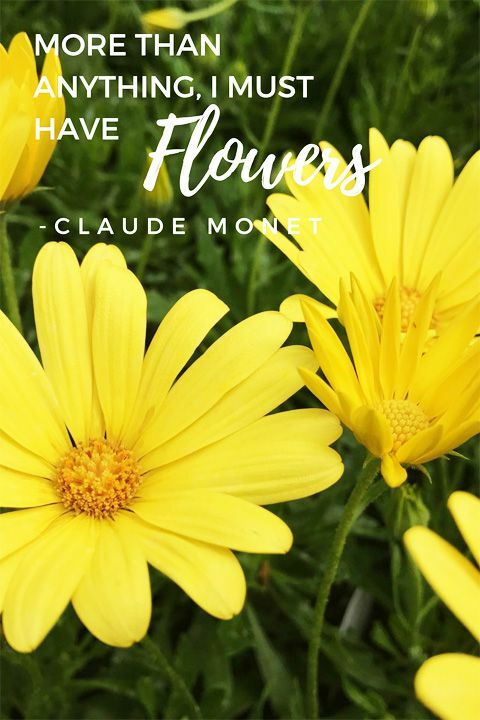 Flowers can provide striking color and interest. Form - Vary the height of your plants. Include tall plant(s) to increase the scale of your project. If the container will be up against a wall where no one will see the back side, your taller plants will go in the back to provide a backdrop. If you will need a 360-degree view, plant your tall plants near the center. For height, experiment and go beyond spikes and grasses. What about a vine on a trellis for height? Have you thought about using a perennial, a tropical plant, or a dwarf conifer? Now that’s exciting! Next, select one plant to be your focal point, a plant that makes you say, “Wow!” Then fill in around that plant with complementary plants. To calculate the number of plants you need, divide the diameter of the container in half. For example, a 12-inch container would need 6-8 plants, depending on the type and size of your selections. Don’t forget to include some trailing plants to spill over the sides of the container. Choose a color scheme that matches or complements your home. Colors are typically thought to be in two categories: hot colors (the vibrant reds, oranges, yellows) or cool colors (referred to as pastels). 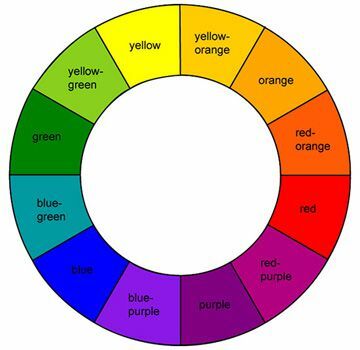 However, using the color wheel you can group adjacent colors, OR try using colors directly across from one another on the color wheel. For example, purple looks great with yellow. Have some fun experimenting with color! Don’t forget that foliage can count as a color. Try adding chartreuse Coleus or the new 'Sweet Caroline Bewitched Green with Envy' Sweet potato vine. The mature leaves on this new variety will have red veining through the leaves. You can even add a perennial like Heuchera for a splash of color. Often overlooked is the monochromatic color palette. Imagine the beauty of a shade container with a single white begonia surrounded by ferns and Creeping Jenny trailing over the side. Sometimes less is more with a single color repeated or a single color in varying shades. Draw an imaginary line down the center of your container. Symmetrical design desires for the sides to be the same where asymmetrical is more free-flowing and casual. Choose the design that complements the style of your home and your personality. Rhythm is repetition. This repetition can be literal where you include a New Guinea Impatiens, for example, on all sides of the container. However, you can create rhythm with different plants contributing to color repetition. The white variegation in the grass you chose counts as white, but the Sweet Alyssum trailing down the side of the container is white too! Sweet Alyssum also comes in purple as well as white, making it a versatile trailing container plant. Now that you have created your container work of art, all that is left is to water and enjoy! We, at The Growing Place, hope you have great fun designing your containers this spring, and we are here to help you create masterpieces that are reflective of your own unique personal sense of style.